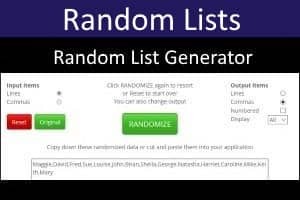 Random Number Generators (RNGs) or Random Event Generators (REGs) are designed to produce a sequence of numbers or other outcomes which has no pattern and is, for all practical purposes, unpredictable. 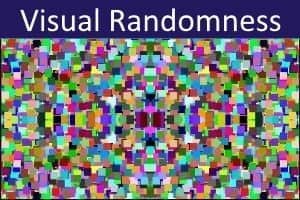 "True" random events are generated using a method that, in theory, is completely random and unpredictable. 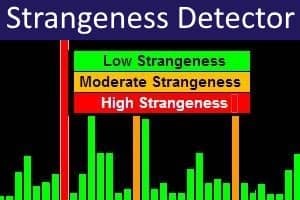 Such methods include those utilising electronic noise, radio noise, or radioactive decay. More widely used are so-called "Pseudo" Random Number Generators (PRNGs). These produce a sequence of numbers using a method (usually a software algorithm) which is sufficiently complex and variable to prevent the sequence being predicted. 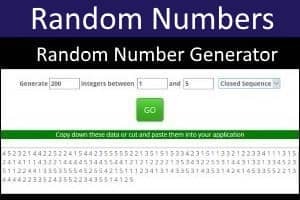 Our Random Number Generator uses this method. 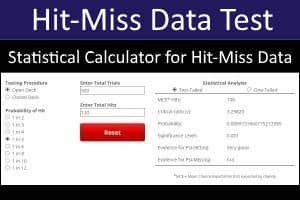 Disclaimer: While every effort has been taken to ensure the error-free operation of this random number generator, no warranty of its accuracy or suitability for any purpose is made or implied, and no liability will be accepted for any inconvenience, loss or damage caused directly or indirectly from its use. Random integers can be generated as (a) Open Sequence, (b) Closed Sequence, or (c) Unique Values. With the Open Sequence, each integer can appear any number of times. With the Closed Sequence, each integer will appear an equal number of times. With Unique Values, each integer can only appear ONCE. This procedure can be used, for example, to select lottery numbers. To generate an Open or Closed Sequence, type in the total number of integers (maximum 100,000 for Open Sequence, or 10,000 for Closed Sequence). Then type in the lowest and highest integer values (these must be between 0 and 9999). Then click GO. For example, to generate a target sequence of 25 ESP cards, number of integers = 25, lowest integer = 1, highest integer = 5. 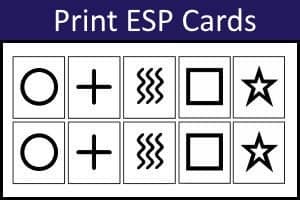 Each integer represents one of the ESP cards (e.g., 1 = Circle, 2 = Cross, 3 = Waves, 4 = Square, 5 = Star). A sequence of Unique Values is also generated in the same way. However, a maximum of 1,000 unique values can be generated. For obvious reasons, the number of different integer values cannot be less than the number of integers to generate (e.g., you cannot generate 10 unique values between 1 and 9). The output from a RNG or PRNG should ideally be checked to ensure that the sequence shows no evidence of non-randomicity. Usually, two checks are performed. 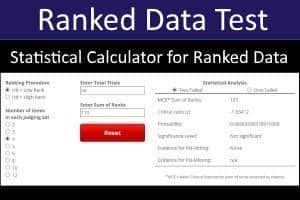 First, the data are checked for equiprobability to ensure that each number is equally likely to be generated. Second, the numbers are checked for independence to ensure that there are no particular sequential patterns. Of course, data may pass the check for equiprobability but fail the check for independence. For example, the sequence 01010101 shows the two outcomes (0 and 1) to be equally likely, but the data are not independent because 0 is always followed by 1 which is always followed by 0. 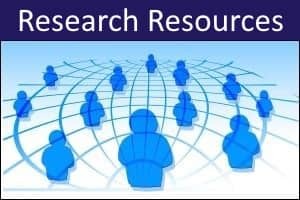 When checking for independence it is possible to look for complex sequential patterns but, in practice, a check on the independence of pairs of successive numbers will usually suffice. For example, if generating a sequence of 0s and 1s, the independence check will see whether the 00, 01, 10, and 11 pairs are equally probable (which they are not in the above example). If there are sufficient data in your Open or Closed sequences, our Random Number Generator gives you the option to perform checks for equiprobability (Open Sequence only) and for pairwise independence. The statistical tests used for these checks are the Chi-Square Goodness of Fit Test (for equiprobability) and the Chi-Square Contingency Table Test (for independence). Equiprobability and independence are assumed when the two-tailed probability associated with Chi-Square is greater than 0.10 (i.e., there is no evidence of a significant deviation from randomness). 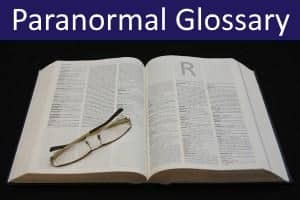 Random Number Generators have a variety of uses in parapsychological research. 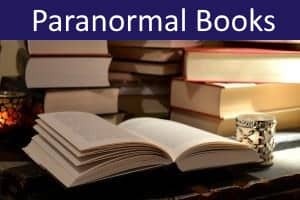 Most important are (a) the determination of sequences of targets in ESP research, and (b) as output that participants in psychokinesis (PK) research can attempt to influence paranormally. 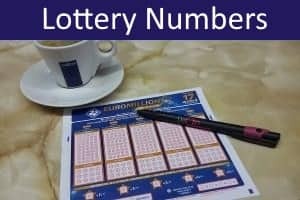 Random numbers also have many other uses - e.g., in cryptography, computer games, online gambling, lotteries and simulations.